When Michael Hussey glanced around the SCG dressing room in the first week of 2007 and saw Shane Warne, Glenn McGrath and Justin Langer packing their Test kit for the final time, he knew instantly that life was about to get tougher for the Australian cricket team. How tough was not easy to say, but his first instinct was to be proven correct. Over the next seven years Australian cricket endured no end of battles, struggling to match up to the standards of the past on the field while wrestling with its own direction between the management table and in the boardroom. Twenty20 loomed large, three coaches came and went, Ricky Ponting made way for Michael Clarke, the Argus review ushered in fundamental change to the team, and subjugation to England on the pitch and India off it ensued. Somehow, though, the worst of the chaos in 2013 was to be followed by the best of the triumphs a 5-0 Ashes sweep at home to match that of 2007, and a South African tour that surpassed all expectations. 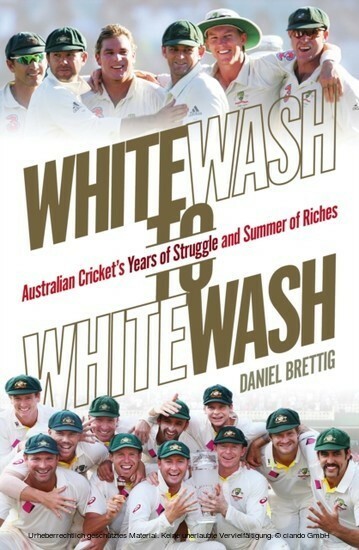 As one of Australia's leading cricket writers, Daniel Brettig watched all this unfold and was privy to much behind the scenes on tour and at home. He tells a tale that is at times ludicrous and at others uproarious, assisted by the frank reflections of a host of key figures in Australian cricket. Whitewash to Whitewash is a fascinating insider's account of recent Australian cricket history.